When in San Francisco, make sure to visit the Cartoon Art Museum. It is a very special place dedicated to the comics medium. And it could use your help! A fund drive is under way. Read on. 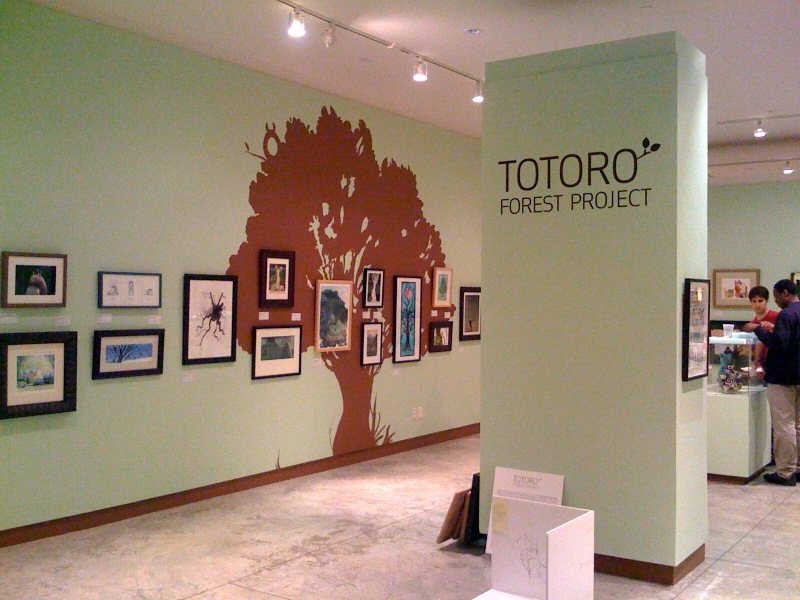 San Francisco, CA: Help the Cartoon Art Museum ring in the new year by supporting its 2012 Annual Fund Drive! The past year was one of the busiest in the museum’s 27-year history, with exhibitions focusing on contemporary comic strips, The Wizard of Oz, Allen Ginsberg’s HOWL, Bloom County, Archie Comics, Green Lantern, Looney Tunes, Troubletown and Cartoonists Remember September 11. Programs included the museum’s eighth annual fundraiser at Pixar Animation Studios, a cartooning master class with Hilary Price, the award-winning creator of the syndicated comic strip Rhymes with Orange, presentations by animator Bill Plympton, comic strip creator Stephan Pastis, graphic novelist Craig Thompson and New Yorker cartoonists Matt Diffee, C. Covert Darbyshire and Drew Dernavich, and a WonderCon weekend party with special guest Berkeley Breathed, as well as our ongoing programming including a monthly cartoonist-in-residence and Saturday afternoon kids’ cartooning classes. The coming year looks to be just as exciting, with exhibitions featuring the artists of Mad Magazine, a look back at 20 years of Image Comics, a 30th anniversary celebration of Los Bros. Hernandez’s groundbreaking comic book Love and Rockets, The Avengers, the Latino Comics Expo and planned collaborations with artists from some of today’s top animation studios, with special programming tied in to each exhibition. Please support the Cartoon Art Museum in 2012 as we continue to serve the public with a full roster of exhibitions, public programming and educational outreach. Your tax-deductible donation can be sent by mail, online, by calling (415) CAR-TOON (227-8666), ext. 300 or through our website: www.cartoonart.org <http://www.cartoonart.org>. The staff and board of the Cartoon Art Museum thank you for your continued support! how can an artist be showcased in this. museum? I like your comics! The Cartoon Art Museum would be easier to show in if you happened to live in San Francisco. They do show local artists. Otherwise, its going to be shows with a broad appeal or a special theme. But you can always contact them and see what they say.